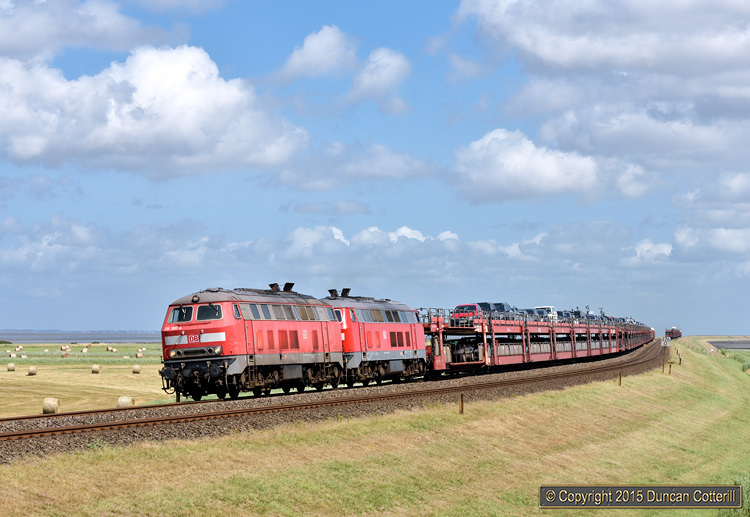 It's not only the passenger trains that are wedged on summer weekends, the Sylt-Shuttle car-carrier services are also extremely busy. 218.380 and 218.322 wheeled a well loaded shuttle off the west end of the Hindenburgdamm near Morsum on Saturday 18 July. In the distance an equally full shuttle can be seen making its way towards the mainland.